I’ve written before about a bad fall I took in Singapore in 2009 – right before I made the final decision to go ahead with gastric bypass. I still remember how that felt. Not just the pain, but the humiliation and embarrassment that my weight added to the event. Last Sunday I fell down again. But what a difference! 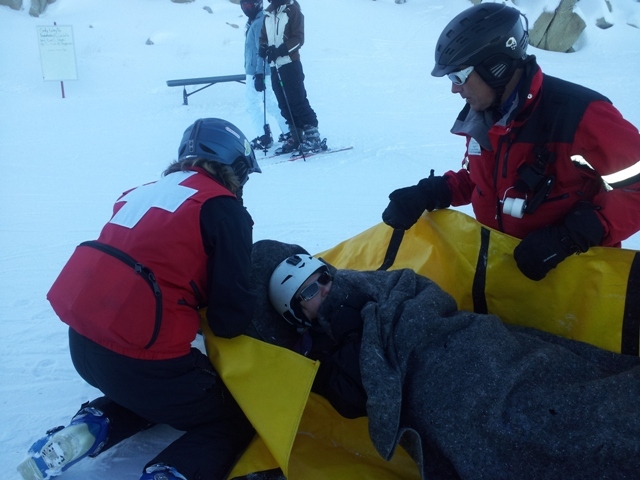 I was snowboarding and twisted my ankle. 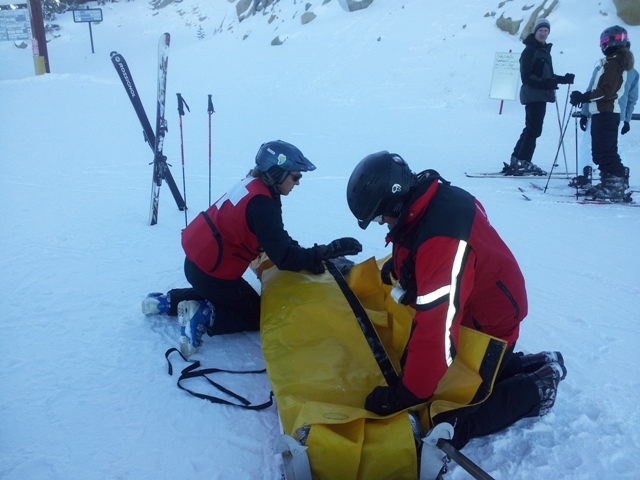 Instead of needing four or five people to help me up and carry me, one tiny (but tough) ski patrol woman skied me down the mountain. Instead of worrying about how I looked or how heavy I was, I was able to just focus on the injury and getting down from 10k feet back to our car. I was able to hobble with a ski pole and get into the car and walk into the hospital on my own steam. And instead of describing the fall due to just being overweight and out of shape, I get to proudly tap my cast with my cane and say, oh so nonchalantly “snowboarding accident”. 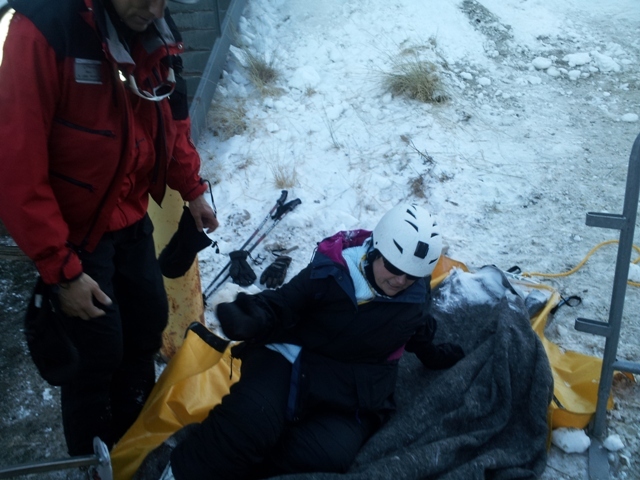 So a few pictures and a word of thanks to Trudy for getting me down safely off the mountain. And for my husband and son for getting me to the hospital and taking such good care of me this past week. We had a lovely holiday, even with the injury and I give you guys all the credit! What a great story (except for the part where you hurt yourself), but it certainly shows how far you have come. 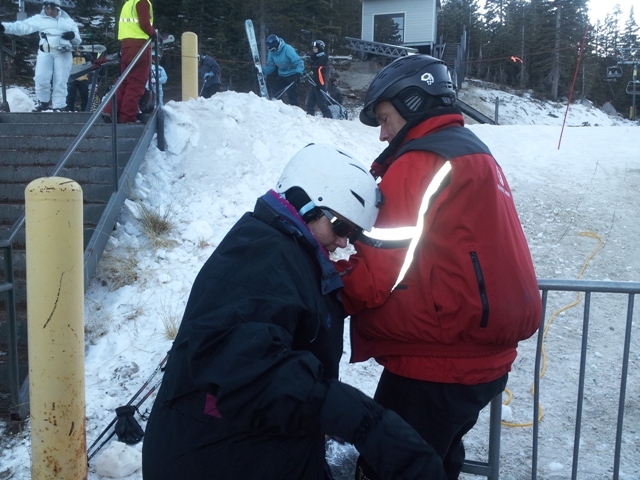 “Snowboarding Accident” = bragging rights for sure! Got here from your BE sig line — plus Minden is the closest city to my uncle’s cabin in the high eastern sierra — so that caught my eye. Take care and get lots of good signatures on that cast of yours!